As an accountant, I play an active role in the discovery and negotiation phase of the divorce process. It’s my job to help the divorcing couple assemble their financial data, so that they know and understand their economic position in order to make decisions about their current situation and plan for the future. Usually one of the parties has a better handle on the family’s financial picture, and I attempt to equalize the power by education and encouragement. Sometimes I have to help move one of them from dependence in the direction of independence. Quite often attorneys send their clients to me to assist the couple in dividing their assets. I help them determine the tax benefits and costs associated with the property division and the tax ramifications of different spousal and child support combinations. In the cooperative divorce model, I maintain communication with the attorneys to keep the process moving along smoothly. These days, if there is no business or professional practice involved, the two largest assets are the residence and the retirement plans. Although some people hold an emotional attachment to their stocks and mutual funds, after spending a considerable amount of time selecting and revising their investments, others would rather have their cash in hand immediately, and ask their spouses to liquidate the retirement plans in the property settlement. Any transfer between spouses pursuant to a divorce would be tax-free as long as the funds went from one retirement account to another. However, if they should decide to cash out early, I admonish them regarding the taxes and penalties that might be assessed. There are some ways to withdraw pension funds without paying the early withdrawal penalties, if the documents are filed properly in a QDRO. In a financial mediation, I always reduce the value of the retirement account by the potential tax bill that would be due in the future. Then we come to the house. As a financial advisor, I look at the house as a real estate investment. I want to know about the location, the interest on the trust deeds, the property taxes, and the maintenance costs. Since it’s our mission as divorce professionals to help couples make the transition from one family unit to two, it’s often the house that’s the issue where the financial considerations collide head on with the emotional agendas. Just one generation ago, a split up meant that the children stayed at home with the mother, while the father found alternate living accommodations. You may recall the “Odd Couple,” where Felix shared an apartment with Oscar after his wife asked him to leave the house and never return. Then along came inflation in the real estate market. Concurrently, the tax laws encouraged people to sell their homes at a profit and rollover the proceeds within two years after the sale. So a common scenario in the seventies and eighties was for the family home to be sold, and each party bought their own place with the cash they received out of escrow. Until 1997, the tax laws put pressure on the couple to sell the house within two years of the divorce, because, otherwise, the spouse who moved out lost the benefit of the rollover provision. Now, finally, the tax laws have given us the relief we needed. First of all, anyone is eligible to earn $250,000 in gain on the sale of a principal residence without paying capital gains tax every two years; a couple filing jointly can earn up to $500,000. A person must have lived in the house two out of the previous five years to qualify for this exclusion. 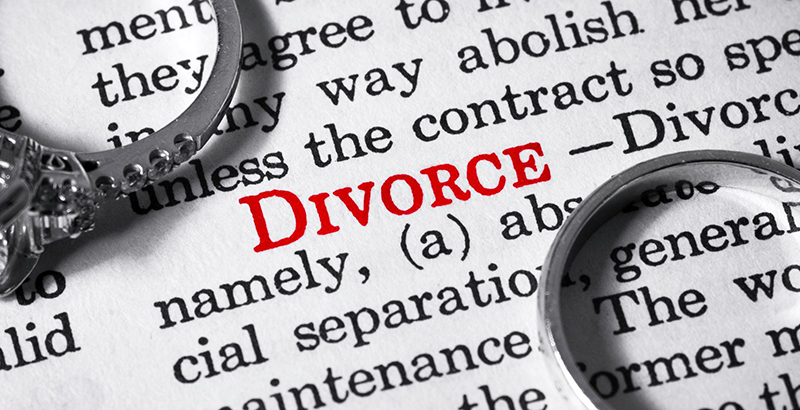 Now, for the first time, a husband or wife who moves out and gives the ex-husband or wife exclusive use of the house under a divorce decree, can still qualify for the exclusion as if he or she continued to live there. Further, even if you are compelled to sell the house in less than two years from the date of purchase because of an unforeseen divorce, each spouse can claim a percentage of the $250,000 exclusion. The government’s rules are no longer an impediment to making a rational decision regarding the residence. Yet we’re still faced with emotional attachments that often prevent or preclude a rational decision. These days, attorneys are advising their clients not to move out of the house. So instead of the home being a respite and an oasis from the trials and tribulations of the outside world, it can become a seething cauldron of unresolved issues or an undeclared war zone, with both parties refusing to surrender and leave. A woman was referred to me, ostensibly because she and her husband were having religious differences, and she was considering divorce. At the first phone call I learned that there was over a decade long history of emotional and physical abuse, that more recently the husband lashed out at the youngest son, using the young man’s new-found religious practice as an excuse to belittle him. A few months earlier the teenager was beaten severely. More recently, he attempted suicide. Yet there was no resolution, because, as the woman explained, her husband refused to leave the house, and she insisted that she and her children had to stay there, as well. Sometimes one party –often the woman, but not always–has an emotional attachment to the house. Some men bolster their image by leasing sports cars and dating physically attractive women in an attempt to appear more successful to others. A parallel may exist with women and their homes. Large, well-decorated houses with pools in upscale neighborhoods are their badges of success. If an advisor should recommend moving elsewhere, they put up a great deal of resistance to what they perceive as a step down in status. Ginita Wall, a financial planner in the San Diego area, describes the house as a “marital museum,” representing the hopes and dreams of the couple during the marriage. It becomes a memorial to what was lost, and the ex-wife maintains it even though she can’t afford it. She sees this as a way of punishing her ex-husband for leaving the family unit, because she expects him to feel bad each time he visits his old house. Her attorney goes along with her, because he thinks he’s zealously representing her interests. In a negotiation, she’s willing to trade away a portion of her retirement or other assets that may be more beneficial to her and the children, just so that she can stay in the house. She’ll give you a whole host of rationalizations: the kids can’t handle the move after all the stress they’ve been through; their friends are all in the neighborhood and at the local school; she runs her small business out of the home; her church group gathers there on Sunday afternoons. A few years later, when she realizes the unnecessary burden she’s carrying and ultimately sells the house, she is faced with having to bear tens of thousands of dollars in closing costs. A year and a half ago an attractive, intelligent, woman was referred to me by a family law attorney. She arrived at my office in tears clutching a large, red business checkbook like a mother holds an infant. She was a victim who was alternately angry and depressed. Her abusive husband had left her twenty years after they emigrated together from Europe as two young dentists. Their marriage produced two children and what was once a thriving dental practice and a 5,000 square foot home in the Valley with two expensive foreign cars in the garage. Her husband had been in complete control of the finances, the business, and the credit cards. She had never even written checks before. He was currently living with his girlfriend, who was previously her best friend; their house was in foreclosure; the dental practice was months behind on the bills; the landlord was threatening eviction; $200,000 in payroll taxes were two years late; $50,000 in income taxes were overdue; and the employees were threatening to quit over their bounced paychecks. With the assistance of some cooperative doctors from the old country, the ex-husband claimed he was totally disabled and conveniently walked away from the disaster he created. She came to me for business advice and to learn how to use the checkbook. I organized the bills and installed an accounting system at the dental office. A consulting group stepped in and taught her how to run the million dollar dental practice that included five dentists and six other employees. What I was not prepared for was the transformation that occurred in my client. Each week she would arrive at my office with the bills. We prioritized them and talked about the dental practice for twenty minutes. For the remaining forty minutes we talked about her life. I realize now that I should have insisted that she contact a psychotherapist, but she would not leave my office until she told me about each week’s events, and I didn’t have the heart to send her away. Each time she would describe what terrible things her ex-husband was doing. Each week I asked her to stop focusing on his behavior and to look forward, to think about the life she wanted for herself and the kids. I knew that her family had persevered intense persecutions in Europe, and that she had succeeded in the transition to a new life. I guessed that she was actually very courageous, not the passive and powerless woman she presented herself to be. A year and a half later, she is a competent manager, able to meet the challenges of providing services in a managed care environment. She no longer requires the hands-on assistance of the business consultants, the bills are being paid on time, and she’s earning $100,000 a year running the dental practice. By my working closely with her attorney, and as a result of her turning the business around, the judge awarded her sole control of the dental practice, and now her ex-husband is demanding that she pay him alimony. Unfortunately, there is still a problem left to resolve with the situation. Before he left, her ex-husband had borrowed all the equity out of their residence, leaving payments of $5,500 a month. She and the two kids don’t need a 5,000 square foot mini-mansion, but she refuses to sell the house. In the cooperative divorce model, I give financial advice while simultaneously allowing the clients to make their own decisions. I focus on avoiding control and exacerbating the clients’ hostility and defensiveness. Because I have no training as a psychotherapist, I look to a coach to guide the couple through their emotional issues, so that they can make rational decisions regarding their finances. I have urged divorcing couples to seek counseling for themselves and their children, but they often refuse to acknowledge the need, or they cite cost as a prohibition. Yet they spend tens of thousands on adversarial attorneys arguing in and out of court over minutiae. As an accountant and as a human being, I abhor the tremendous waste of financial and emotional resources on the interminable divorce wars that benefit no one in the family. I have witnessed firsthand that the cooperative divorce model does work, so that people can recover from the breakup of their relationships, heal and start again. 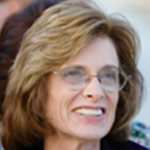 Susan Carlisle, CPA has been a licensed CPA in California since 1988. She works with attorneys and mediators in Los Angeles, Orange and Ventura counties and has testified in those courtrooms. She has been appointed as the Court’s expert and as a jointly retained forensic accountant for cash flow available for support, property division, tracing, and business valuations. In addition to her license as a CPA, she holds licenses in real estate, insurance, and as a registered investment adviser. Ms. Carlisle also holds specialized certificates in personal financial planning, business valuations, and forensics. All of these licenses and certificates require continuing education credits and renewal every few years.